Eager to master social media platforms? Get informed with the top social media mistakes to avoid! In the year of 2019, social media plays a constant part in the development and success of corporate brands. Learning how to manage social media platforms, such as Twitter, Facebook. Snapchat, Instagram, and Pinterest, is a vital part of upholding positive communication with an audience. However, a company must learn how to successfully handle these platforms, which is not always an easy task. Read below to learn about social media mistakes to avoid! 1. Trying to master every platform. With such a large number of social media platforms, it is nearly impossible to be present on all of them. If your company’s social media team is small, focus on the main three platforms – Instagram, Facebook, and Twitter. By focusing attention solely on these platforms, a brand can enhance their engagement levels. Focus social media content strategy on the three main platforms – Twitter, Instagram, and Facebook. Video creates opportunity for engagement and excitement amongst audience members. Companies should utilize video content on social platforms, especially Instagram and Facebook. Video reaches people in an engaging, personal manner, which can help promote products, brands, or people. To read more about the power of video content, click here. 3. Ignoring or deleting negative commentary. In order to properly engage with your audience, a company must respond to feedback – both negative and positive. If a company ignores negative commentary, it looks dismissive and uninvolved. If a brand decides to deal with the issue or negative comments immediately, credibility and trust is established. 4. Posting heavy promotional content. While it is important to promote your company or product, promotional content is often considered unappealing. While social media is a good place for this content, it must be posted sparingly. Posts that engage with audience members tend to be more affective and interesting. Now that you’ve learned what not to do on social media, start posting! As a promoter, it is important to ask yourself, “Which marketing strategy will provide you the perfect reach and also drive engagement with your target audience?” This blog will expand on why both traditional marketing and digital marketing techniques are used in many corporations when promoting your brand and how Adobe software can help you to be successful. Traditional marketing includes handouts, the newspaper, banners, business promotions on the radio or Television, print advertisements, and magazines to publicize news or products. However, as technology continues to advance, the digital marketing world continues to propel. Digital marketing includes websites, social media, and YouTube videos to drive engagement and promote products. Digital marketing in ways is somewhat like traditional marketing, meaning they are both used for similar objectives. Ultimately, these techniques are used to draw in clients and to construct brand awareness. A great example is Adobe software. When mastered, tools used on either Adobe Photoshop, Illustrator and InDesign can help spark new levels of creativity. Adobe software is designed for anyone to create anything from posters to banners and websites. Photoshop: this graphic design software allows you to create and enhance photographs, illustrations, and 3D artwork. You can also use these tools to design websites and mobile apps, edit videos and create real-life paintings. Illustrator: this vector graphic software allows you to create logos, icons, typography, drawings, and illustrations for print or web. Many designers and artists use this tool to create anything from web icons to product packaging and billboards. You can easily turn simple shapes and colors into custom logos, icons, and graphics. This software is a vector based software, meaning it can scale down for mobile screens and scale up to billboards. InDesign: this design software and layout app allows you to create, preflight, and publish documents for print and digital media. It has anything from making posters, books, digital magazines, and interactive PDFs. Whether you are working in print of digital media, InDesign is a good tool to help you create unique layouts. With professional layout and typesetting tools, you can build multicolumn pages that display rich graphics, images, and tables. To add, you can prep your documents for printing in just a few, simple steps. InDesign is always staying up-to-date with new features. Adobe software continues to accelerate every day and technology is changing the way people think. Today, Adobe is igniting creativity in young individuals through the Adobe Creativity Scholarships which recognizes the next generation of creatives and helps them to propel in careers. Click here to learn more. LinkedIn is the top professional networking platform for anyone who is in their job search process. Certain factors can prevent a job recruiter from finding your profile. So, I have gathered these helpful tips to help optimize your ability to be found online! Unlike your Facebook profile picture, your LinkedIn picture should contain a business professional representation of who you are. Dress for success- a headshot in professional clothing or whatever attire is acceptable for the industry. A smiling photo, with eye contact, shows that one is calm and confident in themselves. Do not hide behind sunglasses or dark colors. This profile is the opportunity for you to shed the best light on your professional self. Your LinkedIn profile should contain the same information as your resume, if not more. Discover keywords like marketing, communication, sales, etc. to help boost your profile’s searchability. Active words allow you to show off the many skills you have gained through past work experience. Consistency throughout your profile will create a clear picture of the type of job you are searching for. The headline and summary allow you to create a short story of who you are and what you are looking for. The headline draws the job recruiter to your profile while the summary gives a bigger picture of who you are. According to LinkedIn Insights, only 8 out of 10 people won’t read past your headline. Which means your headline is as important as the first time you shake someone’s hand. With that in mind, it is important to come up with a unique phrase that will draw the job recruiter past the first level of your profile. Lastly, LinkedIn is an incredible online networking platform. It was created to easily connect professionals with one another. So, my advice is to connect with anyone and everyone- past professors, friends from high school, or even bosses from old internships. The more connections you have the more likely your profile is seen as a legitimate connection! Every day there is a new colorful brand that pops up on Instagram to promote their product. Whatever that product may be, the secret to the success of sales is dependent on the person who is the face of that brand. Can a brand be driven by the experiential feel of an account rather than the product itself? What are the driving factors that make startup brands successful? I researched online to find out. A brand is made through specific marketing and communication that distinguishes one product from another. The most successful brands create a relatable feeling that can be associated with the company itself. The idea of a brand is tricky because it is determined by the target audience and is not always controllable by the marketing team. It is important for a brand to stay clear and transparent with their marketing messages in order to serve the needs of its customers. This method creates brand loyalty with an audience. Kourtney Kardashian started her own brand called Poosh. She marketed Poosh through her already popular Instagram account. Recently, she opened up about what her brand Poosh will bring to the public- a lifestyle website with e-commerce beauty products. Yet another Kardashian enters the beauty world! However, this brand will differentiate from Kylie Lip Kits or Kim Kardashian-West beauty products. Kourtney plans on selling already established beauty brands to her customers. Her strategy to sway her current followers to her new brand allowed the Poosh name to grow overnight. Instead of starting from scratch, Kourtney can steer her loyal followers to brands she wants to sell. Poosh can focus on improving marketing techniques to reach an even larger audience without the distraction of product production. Although an everyday person might not have the luxury of a verified account with millions of followers. The key is to find an audience looking for what you have to offer. Think about how your brand creates a story that people will fall in love with. Then, continue to feed your audience with the same honest message. This will bring your brand to life and hopefully become as successful as Poosh! After participating in a phone interview with Meadows School of the Arts alumni, Eskinder Abebe, I found myself intrigued by his broad level of creativity he had developed during his studies at SMU. Entering SMU as a third-year junior, Abebe graduated with his Bachelor in Creative Computin. He then went on to complete his Master’s degree in Design and Innovation from the Meadows School of the Arts. Abebe was open about how his experience in such diverse programs. Before he came to SMU, Abebe enhanced his knowledge of art at Richland College in Dallas. Abebe came to SMU with a unique plan. “I came in wanting to do design and computer science field,” Abebe said. Merging both degrees would allow him to become an expert in both science and art. This would optimize his knowledge on creative computation. Abebe discussed his post-graduation endeavors. He worked as an intern in Portland, Oregon for both Asics and Footlocker. The globally run program called, “The Pencil in Footlocker,” was very exclusive and strategically selected 18 students to attend with only one art submission. Abebe truly embraced the opportunity he was given, and in just three weeks, asics used one of his shoe designs. With a better grasp and more sophisticated knowledge on product design, Abebe returned to Dallas. Soon later he collaborated with close friends to launch their upcoming creative design agency called Design Frame. Additionally, he was frequently participating in interviews and landed a job at Evolve Scholastic, a company that manufactures school, church, and party decorations. Abebe currently works within the jewelry design sector, specializing in necklaces, bracelets, pendants, and soft goods like performance hoodies, joggers, quarter-zips, leggings, and T-shirts. “So far, designing a shoe for asics was my favorite project I’ve worked on,” Abebe said. Abebe mentioned SMU’s Ira Greenberg, a professor of painting, drawing, creative computation and the standing department chair of Creative Computation. Eskinder Abebe is skilled at his unique combination of merging both art and computer science into a different and desirable platform. Meadows School of the Arts prides itself on graduating such a dedicated, motivated, and intelligent student and is excited to watch where his work takes him in the future. The world of social media has grown exponentially and doesn’t look close to stopping anytime soon. Social media used to be a place of creativity and expression, but that was a simpler time. Nowadays, everyone and their employer are on social media, raising limitations on what we should and shouldn’t be posting on our beloved Instagram. It may feel exasperating but here’s a list of five “no no’s” everyone should avoid across all social media platforms. People want to see the same post across three platforms. That’s a negative, ghost rider. And a ghost rider following is exactly what you’ll have if you partake in the annoying sport of cross-posting. No one wants to see the same post repeated. If they do, chances are they’ll stop following you on all three platforms and choose just one. Lesson learned: no cross-posting. Ever. Saying whatever’s on your mind. Let’s never forget, social media platforms are public. That means anything you say can and will be used against you. Think before tweeting a random thought or posting a compromising photo on Instagram. Even if you have your account set to private, nothing is private anymore (thank you screenshots). A good rule of thumb is if you’re confident you could show what you posted to your grandmother and your future employer, you’re good to post away! Social media is your own therapist. Unfortunately, social media isn’t a place to practice your monologue for open mic night. Online rants are out, and conversation is in. Engagement is fundamental when posting regularly on social media. There’s a community out there, interact with it and listen as much as you want to be heard. There’s a balance of giving and take, finding it will make your experience on social media much more enjoyable. Retweeting and liking posts don’t count. If you think people aren’t looking at what other posts you’re sharing or favoriting, you’d be wrong. Your activity on social media matters. Engaging and interacting on social media is a great way to build a following and connect with others, but what you choose to re-post and like will follow you. Even if it wasn’t you who originally posted an idea, commenting or favoriting it automatically makes it associated with your personal brand, so be careful. Politics are a light and fun subject. Ha! If only. Now, this doesn’t mean we don’t have a right to our own opinion. However, this does mean our opinion may not match those of another and nothing can heat up faster than a political debate. And let’s face it, on social media, no one wins. Regardless of what you’re posting, your politically-based thoughts can always be misconstrued by another so it’s always best to avoid it. For young communication professionals, working in a completely new environment can be intimidating. While matriculating into the corporate business world, it’s essential to adapt into your organization’s internal culture. Whether you are a beginner or the leading CEO, you play a significant role in your organization’s culture. The relationship between all employees are the biggest contributors to your workplace’s success. Within your workplace relationships, you orchestrate an interrelated network (or culture) that demonstrates similar core visions and values. This is referred to as organizational culture. Two studies emphasis the importance of organizational culture and the influence it has on workplace success. The first study is from the IZA World of Labor and Dr. Eugenio Proto. Dr. Proto’s (the department chair of Economics at the University of Warwick) findings underlie the key to casual relationships within the workplace. He reminds us how this boosts employees’ happiness snd generate higher productivity, “the worker well-being needs to be the central tenet of any company culture initative” (William Craig). The second study reports the significance of work colloboation. This four-year study was conducted within the Survey Business School and France’s Genoble Ecole de Management. The report highlights how building a culture when all employees engage with each other on a regular basis is essential. The high energy encourages an environment of open and collorative nature. Both of these studies reinforce the value behind an organization’s success based on their culture. To learn more on this study, click here. Maintaining a controlled environment of trust is easier said than done. In order to actually foster a workplace that priortizes this relationship, two way open communication is essential in practice. Next time you find yourself in a situation where you can speak transparently to another employee, know how important this can be toward reaching your organizations long term success. Learn about the importance and impact a successful blog can have on your organization. A blog is a way for you to tell your audience more about your organization in an easily readable and accessible way. Additionally, blogs can be entertaining. The content should be appealing and relevant to your audience. Each blog should be between 300 and 500 words, long enough to get the point across but short enough to capture and keep the reader’s attention. Included in your blog homepage should be quick links to posts, other social media and a way to subscribe to the content. As seen on the photo on the right, linking to previous posts can increase users’ interest. Adding an ability to subscribe to the blog will ensure that users return to the site. Choosing a title is another important component of the blog. This goes for the title of the overall blog as well as the posts. The blog title should reflect your organization directly as to avoid confusion from the reader. Each blog post should reflect the content of that specific post in a concise yet creative way. One of the most difficult parts of creating a successful blog is increasing user traffic. Most importantly, your blog should be linked to all social media as well as the main website of your organization. Utilizing social media is an integral part of promoting a blog. Each time you post a relevant blog, you should link it to a tweet, photo, story, or post. This allows followers and users to easily access the information you are trying to communicate. Also, each blog post should be SEO perfect. SEO stands for search engine optimization. This is achieved through focused key phrases, correct grammar, and relevant content. Perfect SEO allows for your blog to be higher on search engine results, therefore increasing traffic. Follow these easy tips to ensure you have a successful blog and organization! There are only so many hours in the day that you have time to listen to your favorite podcasts, nonetheless, find new ones. As podcasts continue to rise, new content is pushing creative boundaries of all types. Podcast niches serve to educate and entertain listeners at the same time. Episodes are great platforms for communication professionals to share their knowledge with others in the fast-paced industry. Lucky for you, we have found a few of the best podcasts for PR professionals ranging from marketing to corporate communications to social media and more. Need a quick way to jump into the world of PR news? In the podcast Talking Points, Arik Hanson and Kevin Hunt cover everything relevant for you to stay in the know. They offer a wide range of episodes from “Hot Topics” to exclusive interviews with PR professionals and are always taking suggestions from listeners! New episodes come out on Thursdays every three to four weeks. Talking Points #107- Data journalism for content marketing, why email could be the best answer for reaching external and internal audiences and the Edelman Trust Barometer. Just because this title has the word “marketing” included doesn’t mean it is not a podcast for PR professionals! Marketing Smarts is hosted by MarketingProfs. In only 30-minutes, listeners get insight into how creative strategies can relate to both marketing and communications professionals alike. Futureproof Your Marketing: Minter Dial on Marketing Smarts– Minter Dial shares digital marketing insights on business and project planning for a stronger future. If anyone can keep up with the ever-changing world of social media, it is Pam Moore, the host of Social Zoom Factor and CEO/Founder of Marketing Nutz. Forbes even considers her to be one of the Top 10 Social Media Power Influencers. In addition, each podcast includes supplementary materials for listeners to use. In other words, Moore gives you all of the tools to become a social media expert! Instagram checkout is finally here. Third parties, such as rewardStyle, have linked Instagram with shopping for years. But, now the app has launched its own checkout platform that can all be done with the click of a button. Checkout on Instagram allows users to buy items they love from their favorite brands. 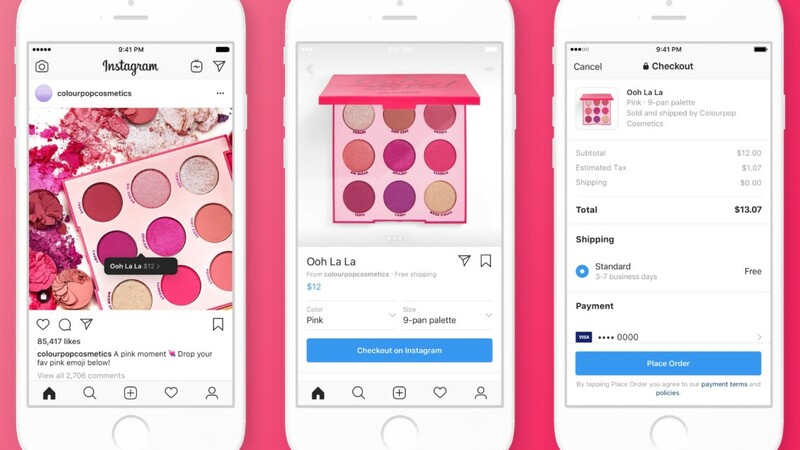 While flipping through their feed, users will be able to buy items directly on Instagram without ever having to leave the app. 23 different brands will be involved in the launch of checkout. These include Adidas, H&M, Kylie Cosmetics, Revolve and various others. When tapping an item on a brand’s shopping post, a button in the corner will read “Check out on Instagram.” Tap this button to view the various colors and sizes the product comes in. Once adding the item to your cart, Instagram will direct you to a secure checkout page without leaving the app. This payment page includes name, email, billing address and shipping address for your first time. Instagram has promised its users that this payment page is entirely confidential and that all information will remain safe. Once the order is complete, updates on your order status, shipment and delivery will come from Instagram. This allows all your personal information to remain in one place and all notifications to be kept organized. How will this affect other Instagram shopping platforms? Only time will tell. rewardStyle came about to monetize being an influencer. From there, the company launched LiketoKnow.It to create an easier platform for buying items directly from your favorite influencer. Other third party shopping stages include ShopStyle. These companies pride themselves off creating lasting relationships between influencers and brands. But, with the convenience of never having to leave Instagram, it is unsure how they will hold up against Instagram checkout. They may hold up when it comes to creating brand partnerships. But, when it comes to shopping off Instagram, we’ll have to wait and see. Shopping made easy – everything you need to know before using Instagram’s checkout feature. Due to the high popularity of social media influencers, products are shared at a faster, more frequent speed. To keep up with this new-found demand, Instagram recently installed a checkout feature. The feature allows for a seamless shopping experience for the application’s users. With this change, users will no longer need to “swipe-up” or click the link in the company’s bio. Ultimately, Instagram’s checkout feature allows for direct action, not just interest, in a particular brand or product. To read more about Instagram’s newest feature from the source itself, click here. An example of Instagram’s checkout feature in use. Instagram wants its users to remain within the platform. If users can see a product on a page and immediately make a purchase, a trip to a company’s site becomes a meaningless step. Therefore, the checkout feature allows users to stay on Instagram, which limits distractions of other sites or platforms. This feature incentivizes brands to constantly update and maintain an aesthetically pleasing page. In conclusion, if users enjoy a page’s content, they are more like to remain on the platform. What is the difference between a profile visitor vs. a website visitor? Essentially, nothing. With Instagram’s checkout feature, a profile and website visitor are considered equal, due to their ability to make immediate purchases. Therefore, companies must put time and effort into maintaining an aesthetically pleasing page. If a company fails to produce eye-catching content, followers will not make purchases or revisit the profile in the future. 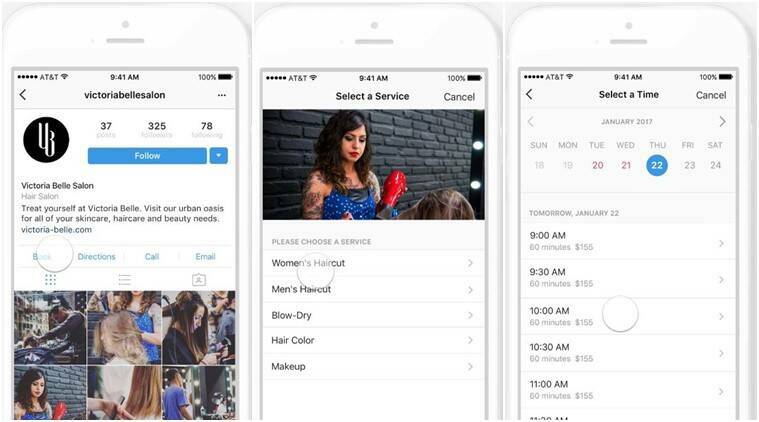 Instagram’s checkout feature even allows users to book services or appointments. How can my brand successful utilize Instagram’s checkout feature? When using Instagram’s checkout feature, it is important to be consistent on all platforms. Ultimately, other social media platforms must drive traffic and attention to a brand’s page. If all platforms are consistent and active, users are more likely to make immediate purchases. Next, social media engagement is a must. If users see a brand posting regularly, the purchase does not seem as random. Therefore, customers will remain loyal if a brand engages and properly utilize the platform’s features. Moreover, social media engagement also builds a brand’s credibility. In the age of influencers, social media and digital marketing play a large role in building brands. Social media increases brand awareness and organic reach. Additionally, it improves a business. In the past, building a brand could take years, even decades. Yet, Kylie Jenner was able to build her cosmetic empire in just two years with social media. Kylie Jenner’s social media effect propelled her beauty brand to success. At the age of 21, Jenner is a reality television and social media personality, a model and an entrepreneur. She launched Kylie Lip Kits in 2015 and renamed her brand to Kylie Cosmetics in 2016 to encompass all her products. In August 2018, Kylie was named to Forbes 30 Under 30 and is the youngest self-made billionaire. Most of Jenner’s marketing is on social media where she has a massive following. On Instagram alone, Jenner has 130 million followers on her personal account and 20 million on Kylie Cosmetics. “It’s the power of social media. I had such a strong reach before I was able to start anything,” she says to Forbes. So, why did Jenner used social media to build her brand and sell her cosmetics. Here are three reasons why Kylie Jenner’s social media effect worked for the 21-year-old. Millennials and Gen Z are best influenced digitally. Jenner knew her fans and targeted them through platforms they used every day. She began distributing content about her cosmetic brand across Snapchat, Instagram, Facebook and Twitter. Her brand was discovered on these channels all at no cost to her. Jenner used her Instagram for personal and professional marketing. First, she began creating professional content on her personal social media because she knew she would reach more viewers this way. Now, Jenner has a separate social media account for her cosmetics brand. Thus far, she has not accumulated as many followers on this account. Therefore, she has a link to her beauty page and store website on her personal social media account to drive more traffic. Lastly, Jenner keeps her fans in the loop by updating them on new products that will launch in the future. With social media, she has the ability to integrate everyone into the experience. Kylie posts stories on Instagram and Snapchat that provide her followers with an insider or behind-the-scene look at products. She swatches and applies her product on her own skin in these clips. Ultimately, her followers are able to see a product’s pigmentation on someone’s actual skin. In November 2018, Jenner signed a distribution deal with Ulta Beauty. Fans can now buy Kylie Cosmetics in stores nationwide. This partnership has increased her net revenue exponentially. All in all, The Kylie Jenner Social Media Effect has brought this young entrepreneur much success. No matter what happens next for the successful digital marketer, she plans to continue using social media to brand and inform her followers. How to create a successful social media strategy and how it can help your clients grow their businesses. Electronic communication dates back to the telegraph that used Morse code to send messages long distance over wires. After that, the electronics industry added the wired telephone, the wireless radio and television. Since then, the industry has exploded. People are now living in the Information Age where people now share information with each other anywhere, anytime and in many ways, via – email, mobile phones, tablets, text and instant messaging, social networks, video chat, websites and more. In particular, SOCIAL MEDIA has revolutionized communication in the modern world. It is important for people to understand the power of social media and how it can help your clients grow their businesses. Here are top tips and tricks to doing social media marketing for your clients. Create a Social Media Strategy: Set goals for your client. Don’t just deal with metrics like “likes” and “retweets”. Also focus on generated leads, conversion rates and referrals to your website. Use the SMART principle when defining goals: goals should be specific, measurable, appealing, realistic and timed. Conduct a social media audit by identifying who your client is already connected to on social media, which networks your client uses, and how your client’s social media presence compares to the competition. Determine which platforms are best suited for your client. Not every social media platform is suitable for your business or set goals. Here is an overview of some of the more popular platforms, including pros and cons, and number of users. Facebook: The world’s most popular social media network with more than 2 billion users. It has the largest reach and thus is the most competitive (many advertisers). Facebook is more social. It might be perfect for your clients in the apparel industry but not used by your clients in the financial services industry. YouTube: If your brand has the resources and budget, the best way to take advantage of the power of video. YouTube has almost 2 billion users. As you know, YouTube has had a very successful campaign for their client Tony Robbins. Our most recent video, Tony Robbins Keys To Massive Success – TOP 13 IN 2019, has 8,572 views and 150 likes as of today. YouTube is a necessary social media network for many of your clients; such as authors, influential speakers, and famous people. Instagram: Instagram owes its success to its visual approach and has around 1 billion users. Successful marketing, therefore, has a lot to do with the appealing aesthetics of the shared content. LinkedIn: With over 300 million users, the platform is the world’s largest careers network. LinkedIn is not a place for selling, but you can generate and nurture leads. Twitter: With a limit of 280 characters per tweet, Twitter is known for brevity and spice. Twitter also has over 300 million users. It is priced and requires a lot of content for multiple and regular tweets. However, it is good for directing users to a client’s website and social media platforms. Snapchat: The platform, with almost 300 million users, has content which disappears. This feature is especially popular with younger users. If your client wants to reach a young audience, this might be a good network for them. 3. Work with your client to determine which social media platform(s) work best for their business. Then set-up new accounts and/or complete existing ones for each client. Get inspiration by looking at competitors’ content from our client’s industry. Adopt and evolve successful strategy of other brands. Get inspiration from social media brands inside and outside the client’s industry and globally. Track what your client’s competitors are doing. 4. Create a social media calendar for your client. 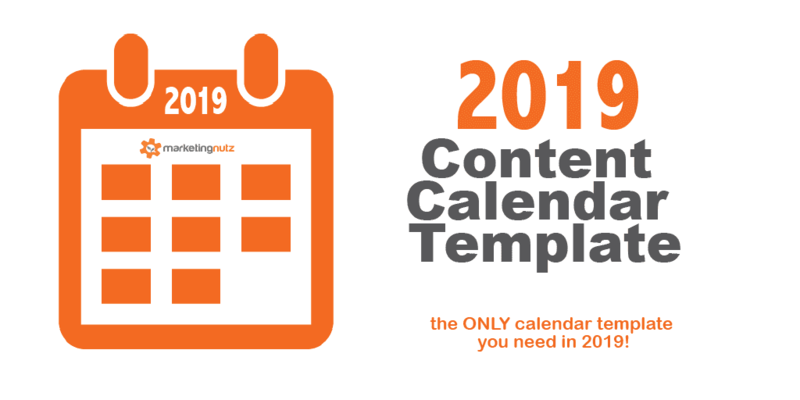 The calendar is central to your client’s content marketing plan. It should include the day and time we want to post and to which networks. There are many tools which can assist you in doing this. Hootsuite for example, can help schedule and measure posts. 5. Lastly and very importantly, test, evaluate and correct our client’s strategy. Adjust the strategy over and over again using performance metrics. Analyze facts such as the number of clicks per post, the reach of our campaigns, and the number of page views made through social media. Social media, when used strategically over time, is the most powerful form of marketing the world has ever seen. There are 2.62 billion social media users worldwide and this number is growing rapidly. Unlike some other traditional marketing methods, social media advertising does not cost a fortune. For these reasons, small, medium, and large businesses are increasing their social media marketing budgets. Fitting with our firm’s culture of “Clients First”, it is your goal to create a successful social media strategy for every client. Cryptocurrency and Social Media have a long-standing relationship. Now, a new wave of crypto tokens are sweeping social media. After seeing a decline in the buzz around Bitcoin in 2017, a new technology is on the rise. You may have seen talk of next-gen tokens on various platforms. While similar to traditional cryptocurrencies, they are not the same. So, what exactly are those things? Cryptocurrency could disrupt the social media industry in a big way. Next-gen tokens are a reinvention of traditional cryptocurrencies. Focused on using engagement and functionality to attract investor confidence, these tokens aim to steer away from the negative connotations of currencies like Bitcoin and Ripple. Now, there are even some new tokens backed with real assets. These were born out of the hope create a more stable online trading environment. New social media platforms are popping up that actually rely on these tokens as part of their infrastructure. They are used to reward users for engagement. This means they can include a financial incentive for the user at no cost to the platform. For example, Sapien Network allows users to reward each other through the decentralized Ethereum blockchain. This is for their contributions to news stories shared with the platform. The mission statement says it all- to reward creators and champion truth over financial gain. Cryptocurrencies on social media may only exist on obscure platforms, but their popularity is growing. While in its infancy now, this experimental model could become the norm for the most popular social media platforms. With a base of knowledge on next-gen tokens, you’ll be ahead the curve in your professional field. Watch out Facebook, Instagram and Twitter! Online currencies could be your future. With over 30 million Youtube visitors per day, the world of content marketing influencers is rapidly exploding. Attempting to reach the target demographic of 18-34 year-olds, Youtube personalities create diverse content on a variety of topics. Fashion, beauty, lifestyle, sports, and comedy are the site’s most popular genres. For large corporations, partnering with a Youtube influencer is highly recommended, especially if the company strives to increase product sales growth. However, certain types of content are more effective and engaging than others. Read below to learn about different types of Youtube influencer content! Otherwise known as a tutorial, a how-to video provides step-by-step instructions. For example, successful beauty Youtube personality, James Charles, often posts step-by-step makeup tutorials that achieve a specific look. These videos feature multiple different products – therefore, providing a potential partnership opportunity for influencers and brands. Besides beauty, popular Youtube personalties create content in the food and lifestyle space. For example, cooking and meal preparation tutorials are highly popular among Youtube’s core demographic. Essentially, vlogs are personal blogs with video content. Typically, these videos do not have an overarching theme – instead the influencer videos a series of clips over a span of time. Followers get to know the Youtube personality on a personal level and get insight into their lives. While vlogs are informal, brand partnerships still are present. For example, certain products that the influencer uses on a daily basis, such as a teeth whitening kit or meal delivery service, would be an appropriate sponsorship. An example of a fitness and lifestyle blogger’s recent vlog uploads. Besides tutorials and vlogs, hauls and unboxing videos are popular among the Youtube community. In haul style videos, an influencer will typically share a large quantity of new items. Often, the influencer will describe the quality, price, and their personal opinion on each item. In most cases, haul style videos appeal to those interested in fashion and beauty. Next, unboxing videos showcase an influencer’s reaction to opening large, expensive gifts or boxes sent from other companies. If an influencer is filming an unboxing haul of a personal gift, they often discuss the item’s price point and if they find the item worthy of that specific dollar amount. If a Youtuber posts about a box sent from a company, the video is most likely a sponsorship. An Instagram influencer in front of the packages that she will be “unboxing” on her channel. If you are still interested in the power of Youtube influencers, click this link. To learn more about the most popular influencers of 2018, click here.